The T-Rex made it to the big screen in another blockbuster this summer, inspiring new interest in dinosaurs for kids everywhere. 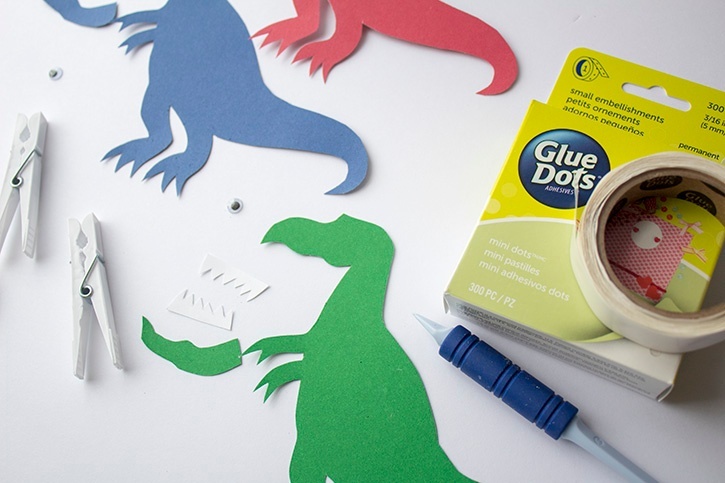 By adding a single googly eye, you can turn a scary dinosaur into a friendly and interactive craft project for kids. 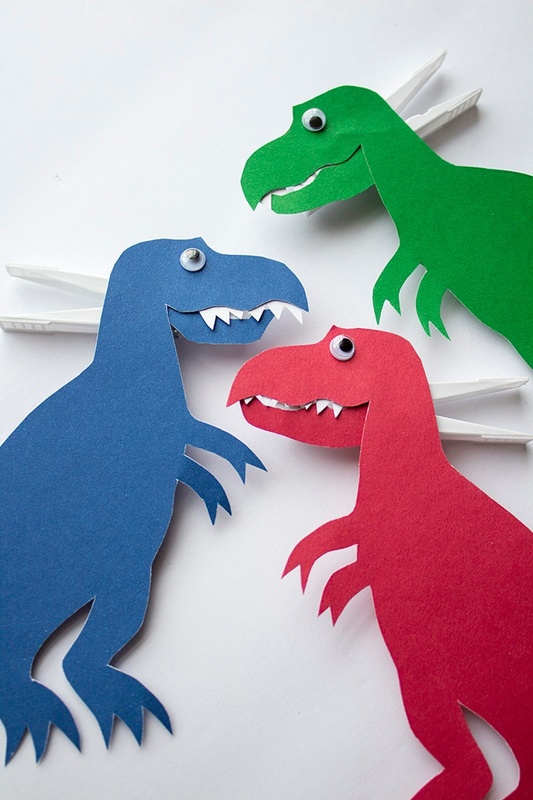 Print dinosaur template and cut along the lines. 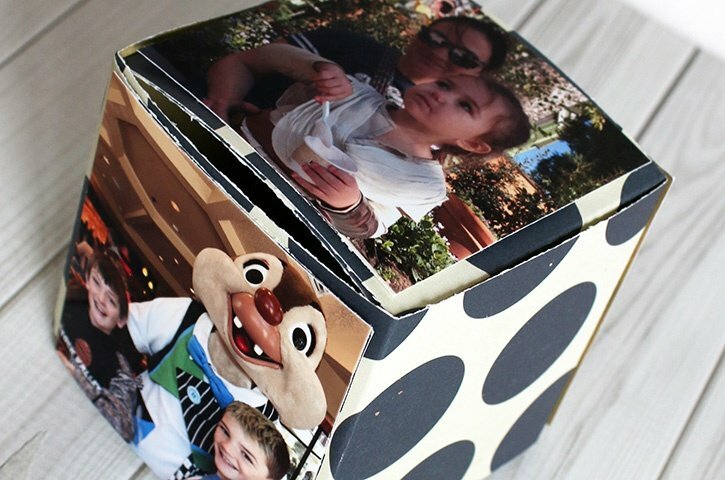 Trace template onto cardstock and cut out. 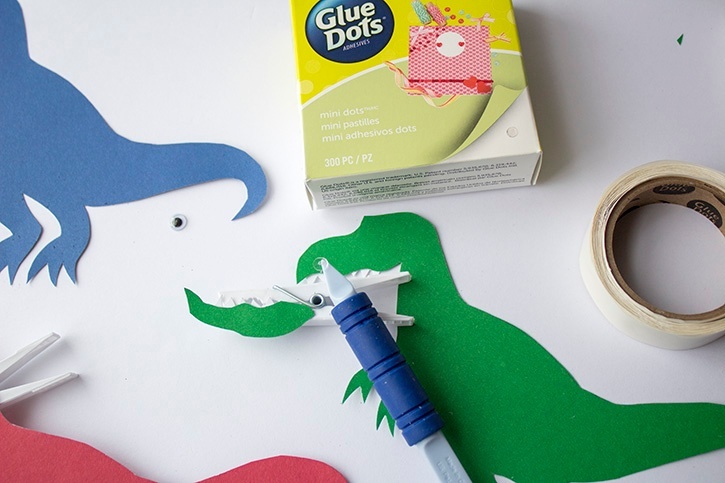 Attach teeth to the backside of the dinosaur head and lower jaw with Mini Dots. 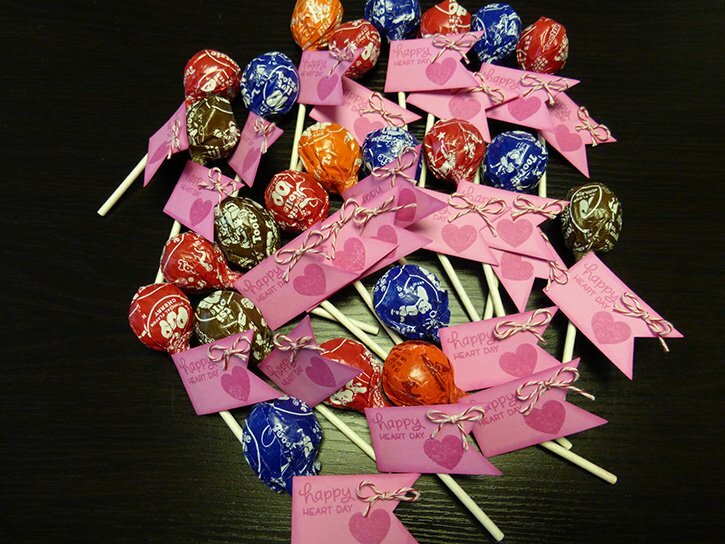 Make sure that your teeth stick out just enough to be seen. 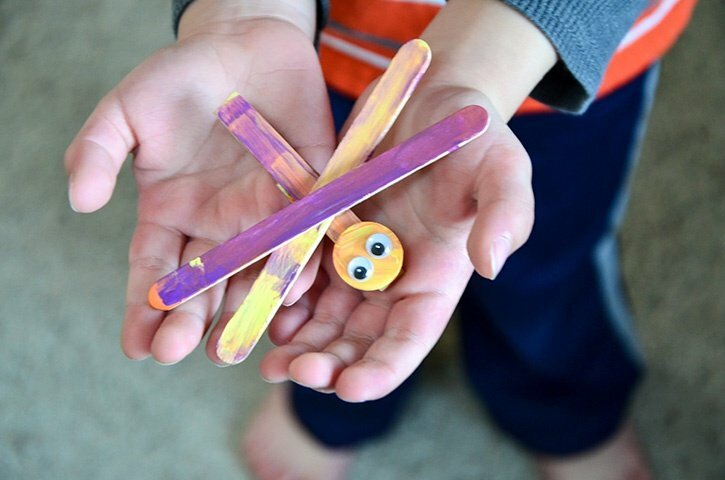 Use Mini Dots to adhere dinosaur to clothespin, lower jaw first. 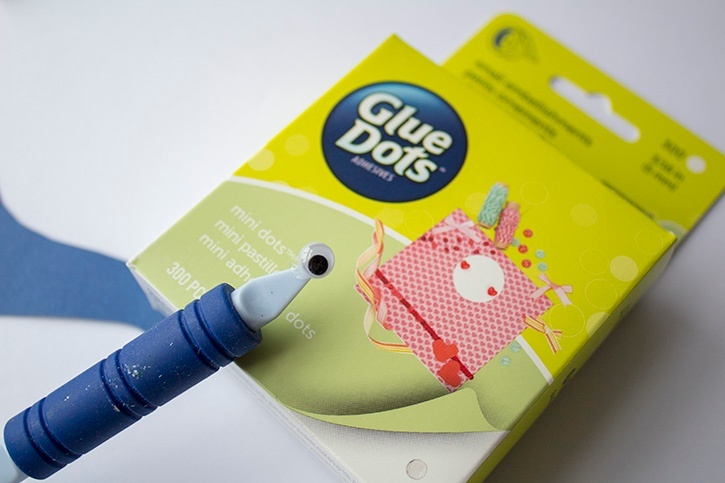 Adhere googly eye to dinosaur with a Mini Glue Dot. 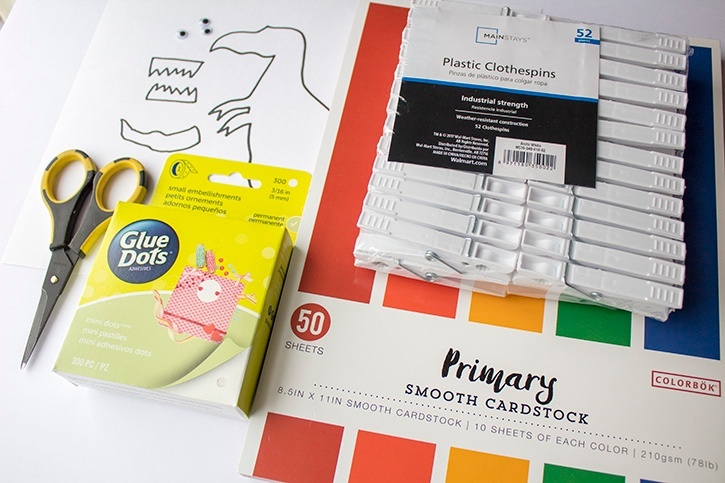 Use Removable Dots to keep template in place as you trace it onto cardstock. 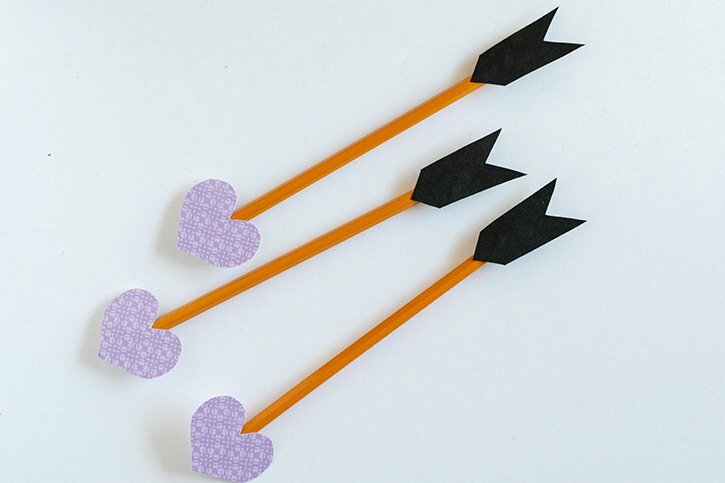 For easier Mini Dot placement, using something pointed, like a scoring tool, can be helpful.